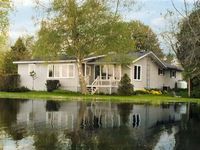 Property 20: Cozy house by the lake in the heart of Prince Edward County's wine region. Property 27: COUNTY's great + affordable B & B with private sitting room + Ensuite + famous breakfast ! Presqu'ile Point is at the end of Presqu'ile Park. Property 31: Presqu'ile Point is at the end of Presqu'ile Park. Welcome to Red Door Suites! Property 33: Welcome to Red Door Suites! 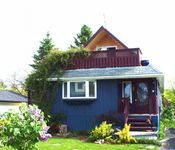 Spacious Vacation Home minutes from Wellington, walking distance to wineries. Property 34: Spacious Vacation Home minutes from Wellington, walking distance to wineries. Property 42: Gateway to the PEC!! Property 44: A beautiful Victorian home completly renovated in a private country setting. Charming Victorian at the Edge of the Woods in the centre of the County! Property 50: Charming Victorian at the Edge of the Woods in the centre of the County! Very well equipped in a modern minimalist style. Large and spacious, though located immediately next to other properties, so not a lot of privacy. Short drive to all the local towns, parks and wineries.